A teacher plays a significant role in the balanced development of a village. 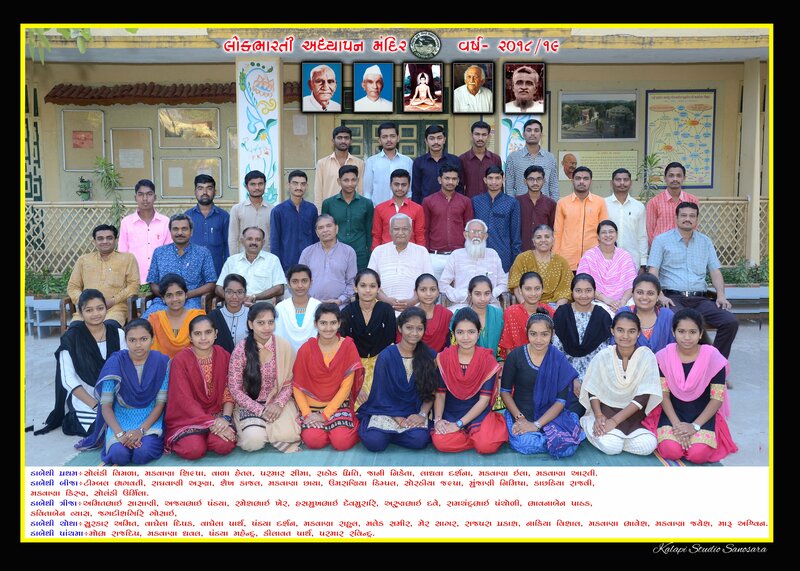 As it was considered an essential task to prepare trained dynamic teachers, Adhyapan Mandir had been already started in 1948 at the mother institute – Gramdakshinanamoorti, Ambala, well-before the establishment of Lokbharti. The Adhyapan Mandir was recognized and due autonomy was also sanctioned by the state government in matters of admission, examination-evaluation, result and certification, carrying out experiments in teaching-learning processes. With a purpose of enhancing the ability and scope, this Adhyapan Mandir was shifted to the campus of Lokbharti in 1954. The admission procedure has been centralized by the state government since 2002. The competency based syllabus of this two year training course offered after the higher secondary level, was designed in 1998 and approved by National Council for Teacher Education (NCTE) in 2000. 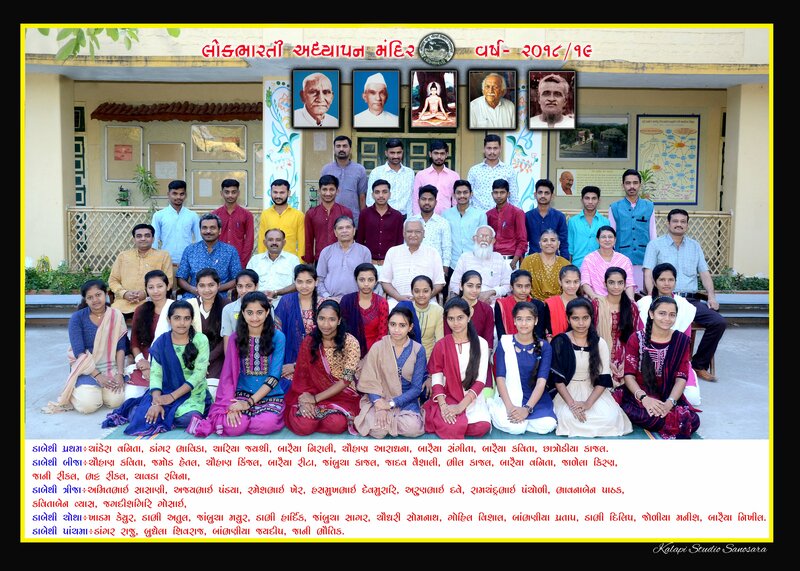 Sarvodaya, faith in Gandhian thoughts, socially useful productive labour, experience based training imparted through the mother tongue with co-relation and the likewise elements are considered as the means of bringing about social change in basic education. In this context the educational programmes are planned here as to fulfil the objective of preparing primary schools and post-basic schools of Nai Taleem. Community life, domestic duties-self-dependence, physical labour, khadi, simplicity, co-education etc. constitute the code of conduct in the same way as they are found in other educational sections of Lokbharti. Understanding and insistence for the use of Swadeshi and Gramodyoga things are clearly expected. Character-building process is concretized through community life, domestic-duties, self-dependence, co-education, physical labour, khadi, simplicity, collective prayer, festival, cultural programme, songs-music, sports, students’ council, Lokbharti-orientation camp, service-oriented duties, Sarvodaypatra, etc. The trained teacher of this section can make the teaching-learning process interesting, easy and life-oriented with the appropriate application of TLMs (Teaching Learning Materials), songs with acting, story telling, role-plays and various activities.